An essay titled “Earth Shifts” posted in 2009 by Kara Mooney looked at the many prophetic messages about a looming correction of the planet, just what it might involve and added speculation as to what it would mean for the human race. Indeed, there has been a world-wide spiritual awakening going on since the days of the hippie movement and LSD when Galt MacDermot’s great song “This Is The Dawning Of The Age Of Aquarius” broke out on the New York stage from the musical Hair. Since then spiritualists, visionaries, Bible scholars and people of all walks of the esoteric field have been telling of “messages” from the astral and from ancient text that warn of an amazing Earth change that is about to happen. 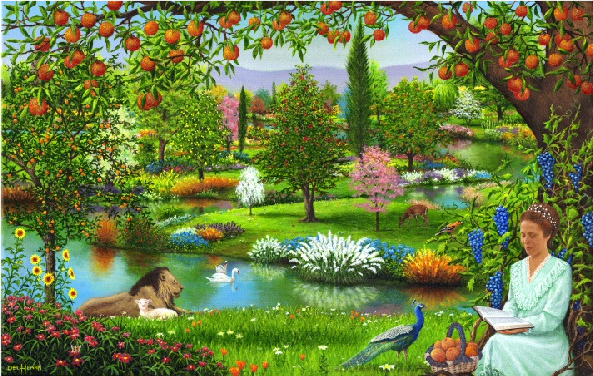 Indeed, the Book of the Revelation in the Bible’s New Testament speaks of a “new heaven and a new Earth” that will occur after a terrible tribulation period when millions of humans, animals and plants are destroyed. Archaeologists have long been perplexed by a Mayan Calendar, inscribed in stone, that projected the future and movements of the stars with more accuracy than modern calendars, but stopped abruptly on December 21, 2012. Many people thought the ancient Mayans were warning that the Earth as we know it was coming to an end on the day of the Winter Solstice that year. Evangelists preached this message and a lot of people waited in dread as that day arrived . . . and then passed. Nothing happened. The mysterious Hopi in the Southwestern United States have a legend of emerging from a Third World and that we are now living in the Fourth World. They hold their tribal meetings in special buildings that only can be entered through a hole in the roof, a constant reminder of having to climb upward into the new world. Will there be yet a Fifth world after this? In recent years the mystics, seers and communicators with entities from the astral, or “other side,” have been warning of great trouble, including war, political strife, climate change, and mass deaths from disease and catastrophic events that will precede a new world. All of this is happening with more and more frequency with each passing year. The theme of the prophecies is always similar. We must go through several months if not years of great trial and tribulation before something amazing happens and those of us that survive find ourselves in a new and repaired Earth where we all live in peace and harmony. How can this be? As science looks at our planet, we humans have done a terrible job of taking care of it during the few thousand years we have been its custodians. Instead of being good stewards, we have ravaged the planet’s natural resources, mined its minerals and oil, destroyed its forests, and polluted the ground, sky and water. We have killed off the animals and overpopulated the planet to a point where it can no longer support all of us. Now we are facing extreme climate change and there is a fear that without changing our ways, all life on Earth is in grave danger of extinction. Instead of joining forces to change our ways of living and doing all that we can to save the planet our national leaders are on the brink of nuclear warfare. Thus the great fear is that we will foolishly annihilate ourselves and that the world will come to an abrupt end. And even if we magically agree to lay down our weapons of war and do all that we can to salvage what is left of our planet’s resources, the best some believe possible is that we can buy ourselves some time before we run out of food, water and shelter for everyone. So how can we expect to live to see a new and repaired earth? Mooney offers some thoughts in her web-published column. She wrote that she believes the third dimensional world as we know it will be experiencing “a mass cleansing” and perhaps a self-generated repair job while humans struggle to survive the effects of what is happening under their feet. Mooney believes the sun, like the earth, also is a living, intelligent energy source that will be participating in this great event. Thus we can expect solar flares, a heating energy, and other powerful eruptions that will cause a lot of chaos here on the planet. If she is correct, all of those fancy electronic gadgets, our computers, television sets, computer controlled automobiles and aircraft, will come to a stop. Empires will crumble. People will lose communication capability and we will be pretty much on our own to figure out how to survive. Mooney joins many of the other psychics who believe the Earth is going shift from the third into the fourth or even the fifth dimension, and that the humans who are spiritually prepared for this dynamic leap will be riding right along with it. We will go through some very strange hours or days while this is happening, then find ourselves living in a lush, green version of Eden again, and relying on our own resources to find food and shelter, but having an abundance of everything at our fingertips. That’s one scenario. Others, like Bill Ryan of Project Camelot, think the Earth will be doing some amazing self-repair on its own, including a slipping of the surface that makes it seem like a magnetic shift. He perceives an alien controlling race of Reptilians that will be working hard to kill off as many humans as possible during the bad times so we never have a chance to awaken as the powerful “Gods” we were designed to be. In the end, Ryan believes we humans will win the spiritual battle over the Reptilians and take back our planet. He perceives a dawning of a new age when we will all be living in harmony and no longer suffering from pain, poverty and war. Drunvalo Melchizedek, in The Ancient Secret of the Flower of Life, the Indian mystic Her Holiness Sai Maa Lakshmi Devi, California-based astrologist Risa D’Angeles in her Internet published newsletter Night Light News, and The Abba Father, an entity that communicates with us, are all predicting some kind of world transitional “shift” that will bring humanity into a new state of reality. To survive this spectacular transformation, The Abba Father gave us careful instructions for turning on our internal light source and regenerating unconditional love for one another. The instructions will appear on this website in a few days. You can read all of important messages by The Abba Father by opening that link. The shift from the dark third dimensional world as we know it into a higher dimension will cause a lot of confusion, disruption on the surface of the planet, and a polarization of the people. Melchizedek suggests that the sensation may come upon us in such a way that it will appear to be a “rapture,” such as described by Paul in his first letter to the Corinthians. But instead of Christians disappearing, millions of humans will be separated. Those that go will be the people of the light . . . the ones that received the messages and learned to turn on their light. In the end, Melchizedek promises, the powers of the universe, including the living Mother Earth herself, are preparing to clean house and put everything back in order, the way it was always supposed to be. Best of all, humanity will be free of disease, pain, materialism, enslavement and control by outside forces. We might think we have all died and gone to Heaven. And in a sense, that will be just what is going to happen.